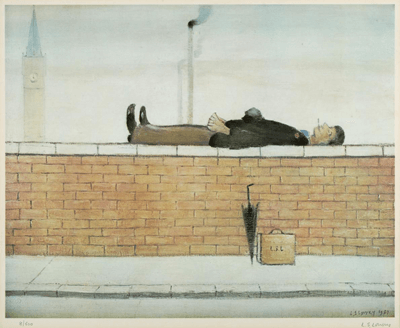 Laurence Stephen Lowry, the artist synonymous for his matchstick men, is now becoming better known for his record prices at auction. 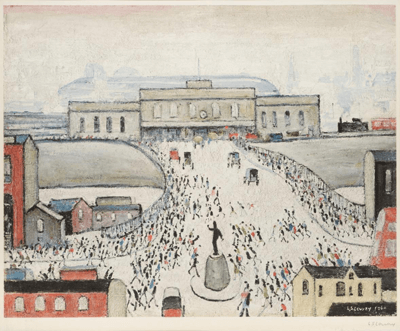 Interest in the Northern artist has gathered momentum over the last five years, helped along by the ‘Lowry and the Painting of Modern Life’ exhibition at the Tate in 2013. 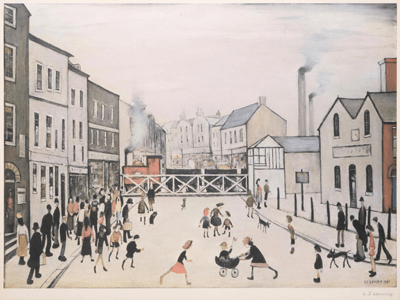 With his oil paintings now regularly making several million pounds (the record is £5,600,000 for ‘Piccadilly Circus, London’) it is no surprise that the prints that Lowry produced are also making very substantial figures at auction. 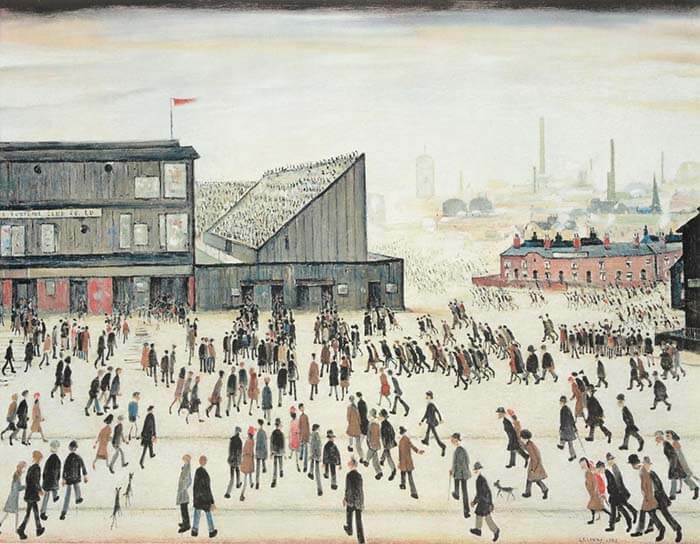 A print of ‘Going to the Match’ was sold for £22,000 in 2015 and many of his other prints often make £1,000-5,000 at auction. 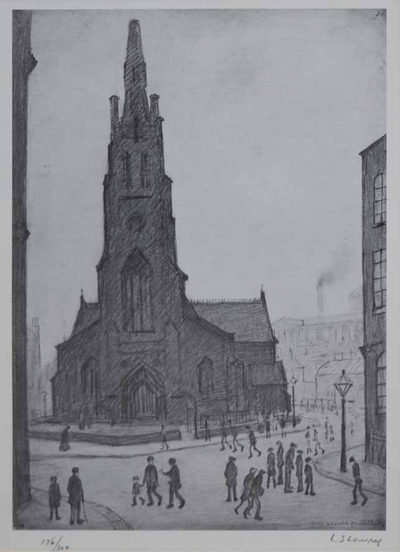 In many cases his prints are now making more than original pencil drawings, a fact which possibly indicates that the market is due for a ‘correction’. 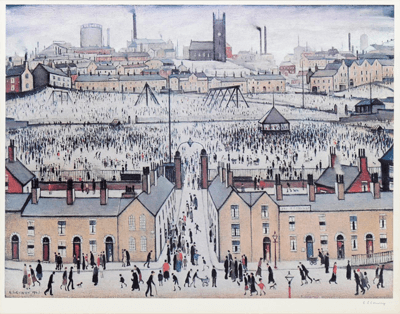 As such we would advise anyone with a Lowry print to consign it for sale now, at the very top of the market, rather than on the other side of the curve when prices are falling. 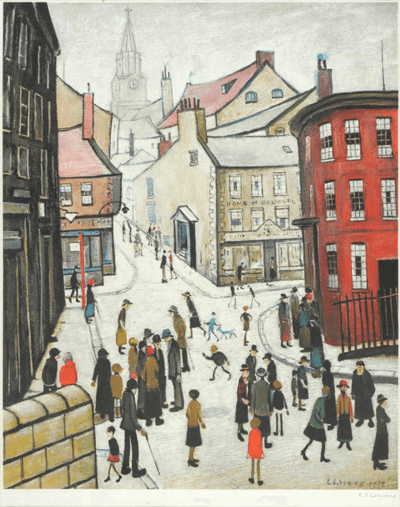 We can advise the value of your Lowry print and help you find the best place to sell it, taking care of all the administration and logistics too. 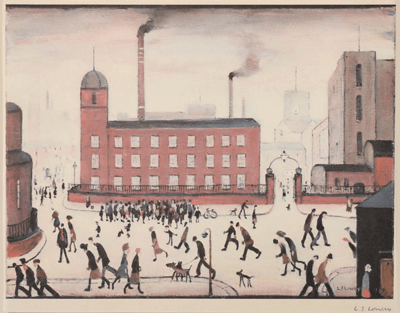 So if you have a Lowry print and you would like a valuation please contact us for more information. 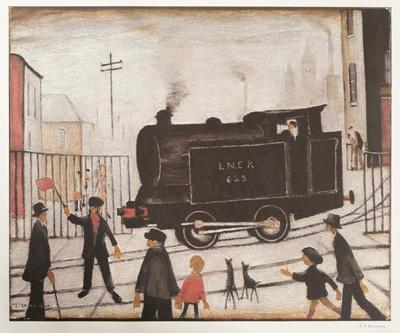 If you are looking to buy a Lowry print you can view our stock here. 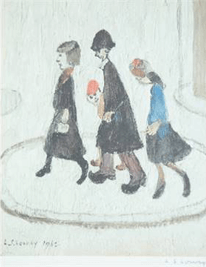 L S Lowry, ‘Going to the Match’, from an edition of 300, published 1972 by The Medici Society Ltd. Top price currently achieved for this print is £22,000 (November 2015). 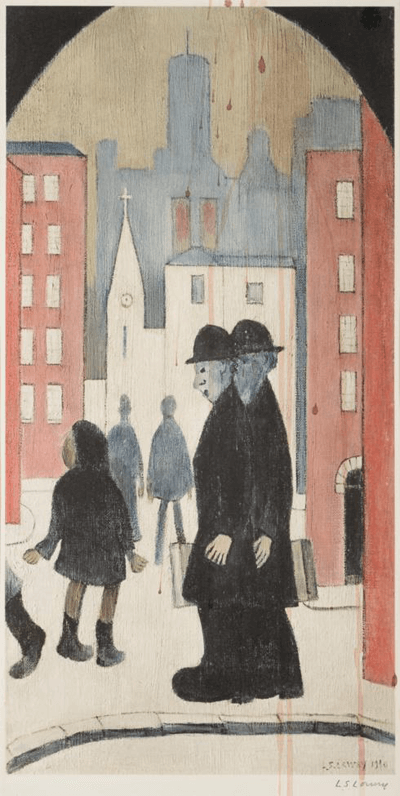 Most Lowry prints feature what is called a ‘blind stamp’ which is an image, design or lettering on an art print or book formed by creating a depression in the paper or other material. 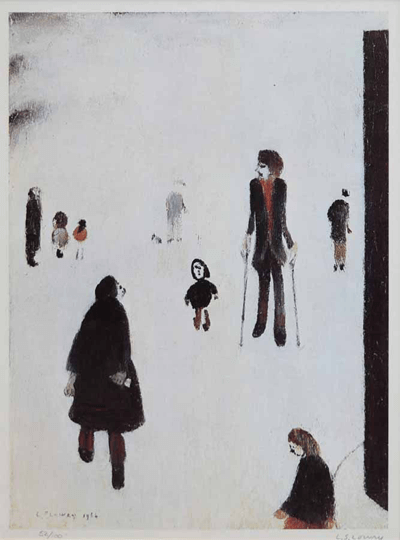 The blind stamps that are found on Lowry Prints are often by the Fine Art Trade Guild which consists of a rectangular box with an image of a gentleman, followed by three letters. The Fine Art Trade Guild blind stamp will be on the left of the image if it has a signature by the artist and will be in the centre of the image on unsigned editions. The Fine Art Trade Guild are a trade association founded in 1847 and its major objective was ensuring the highest standards in print publishing, framing and trading in fine art. 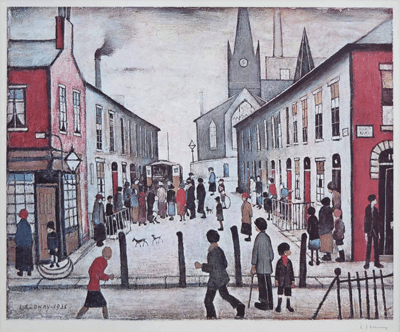 Lowry prints were published by a large number of galleries and institutions including Venture Prints Ltd, Adam Collection Ltd and even the Sunday Observer. The publishers were those who promoted the sale of the prints and did not actually print them. This was taken care of by printers such as The Curwen Press and Max Jaffe. You are not likely to find information about who printed or published the print on the actual print itself. 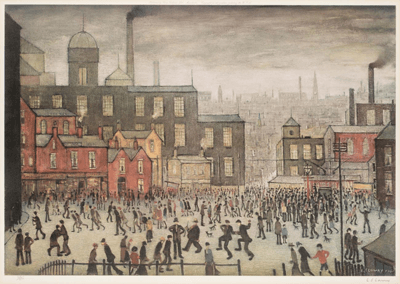 Lowry prints were released in editions from as little as 75 up to 850. Quite often the print will have a pencil number indicating what number of the edition the print is from, such as 115/850, implying this was print 115 from a total edition of 850. However, not all of the editions are numbered, so this can be a good way to spot a fake. A lower or higher number does not necessarily imply a higher or lower selling price, except in the case of the prints which were only issued in editions of 75 such as the series of Lithographs that were released in the 1960’s. These are very commercial. 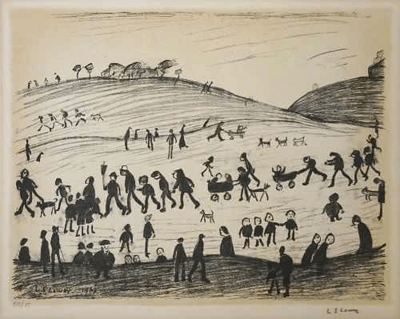 Contrary to popular belief not all Lowry prints should be signed, however the majority are. 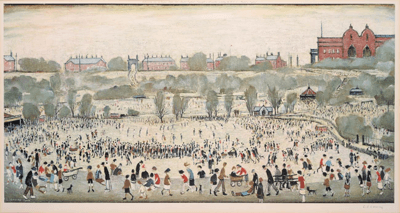 The signature on a Lowry print should be in the lower margin of the image beneath the print itself. This signature will be in pencil. 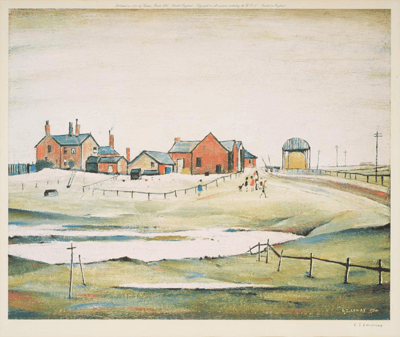 There will also be a signature on the print itself but this the signature from the original painting and is merely a reproduction like the rest of the image. 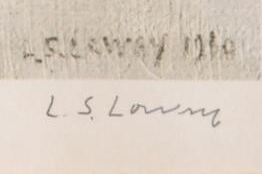 The signature in the margin is by Lowry. 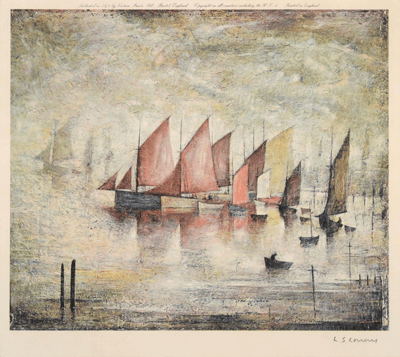 The combination of the inclusion or exclusion of the signature, Fine Art Trade Guild Stamp and edition number are all indicators of whether the print is genuine or not. 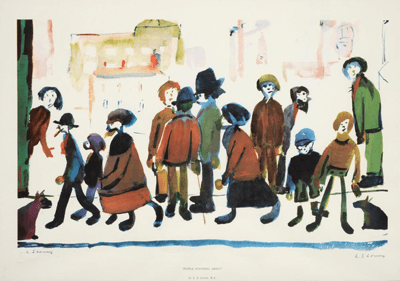 An edition number from a Lowry print indicating this is print 50 from an edition of 75. The first number has no impact on the value. The lower the second value the greater the value typically. Lowry prints are often found in narrow metallic coloured frames and these are often the original frames. A print will often make less if it is not in its original frame so we recommend keeping the print in the original frame even if it is in poor condition. 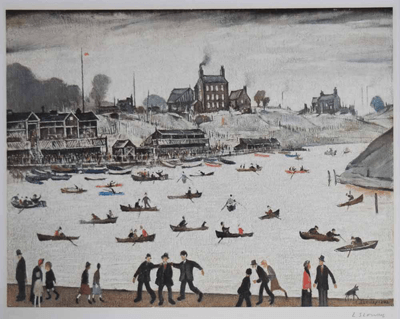 Lowry prints have a tendency to fade and this has a big impact on their value. This is primarily as a result of poor quality inks used in the printing process but can also be caused by over exposure to the sun. It is the degree of fading which often explains the relative paradox of seeing two ‘identical’ prints make differing sums of money at auction. 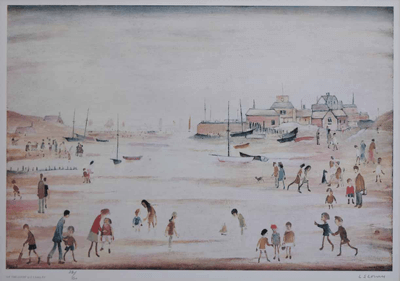 They may look similar on a computer screen but when seen in the saleroom they may appear very different. If you would like a free, no obligation valuation of your Lowry print please use the form below. 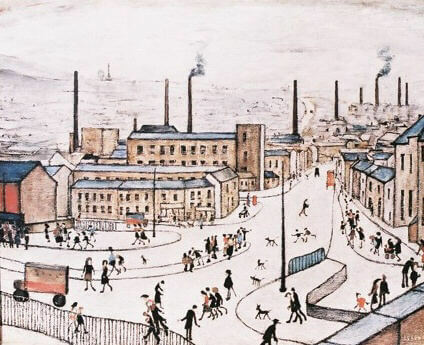 You can also email details about your Lowry print to [email protected] or call us on 01270 440357. 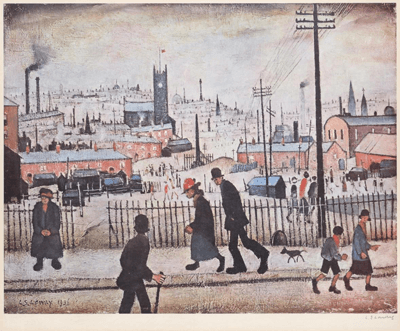 Are you looking for a valuation of your Lowry print? If so then we can help. 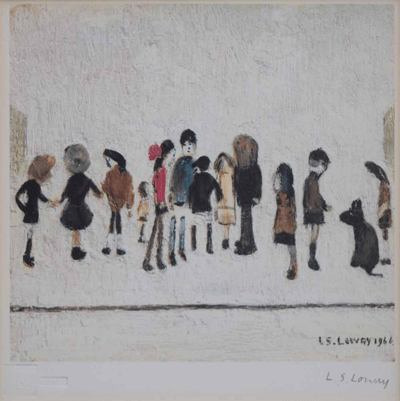 We have developed a niche helping clients sell their L S Lowry Limited edition prints. We have sold over 150 in the last year. Where possible we sell privately achieving on average 35% more than had they been sold at auction. 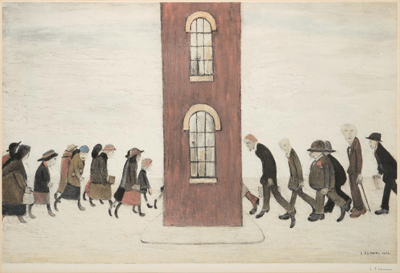 We have a waiting list of clients looking for L S Lowry limited edition prints and we launched an online brokering service in January 2017. Where no private sale can be sought we enter the prints into auction, ensuring they are placed into an auction house with the right knowledge and expertise to ensure they make the most possible.